Jorie shares how inheriting supplies from family members set her on a course to enter her embroideries at the Iowa State Fair. 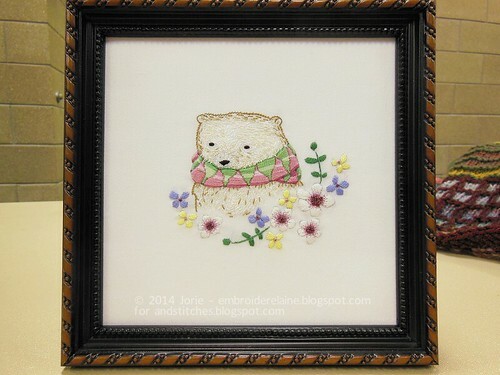 Visit Jorie's blog, Embroider Elaine. Lurking between the carnival rides and farm animals, at the Iowa State Fair, is a celebration of craftsmanship. During my first visit in August 2011, I stumbled upon the Fabric & Threads department and was both surprised and humbled by the entries on display. There were dresses that belonged on runways, double-knit jackets swirling with color, and room after room of quilts. I left the fair thinking about all the beautiful objects I saw and the hard work that went into them, but I never considered the idea of actually entering the fair myself—even though I had been knitting since the age of six. Several months later, my grandmother died and my parents cleaned out the apartment she had shared with her sister, my great-aunt. My parents discovered a bag of my great-aunt’s embroidery supplies, including an unfinished project. They asked me if I could complete this project, and I accepted the challenge. In August 2012, I found out that my local craft store, Home Ec. 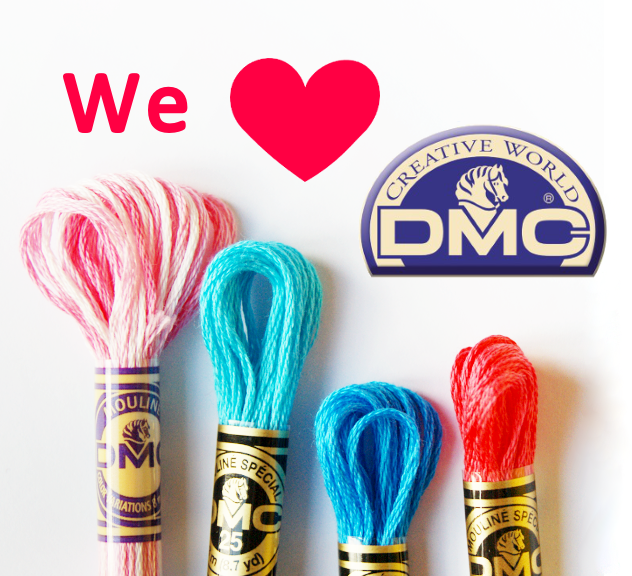 Workshop offered embroidery lessons. I learned enough stitches to complete the project . . . and I haven’t stopped stitching since! During the store’s weekly Saturday brunch, I was working on my great-aunt’s project when a regular customer came in with a box. She had entered dozens of knitted items to the 2012 state fair and had just gotten them back in the mail. She pulled out the projects, most of them festooned with blue ribbons (which was not surprising, considering she is the only Master Knitter in Iowa). As we marveled at these prize-winners, my embroidery friend Cassie turned to me and said, “You will enter the state fair this year.” I couldn’t believe what she was saying. I had only just learned how to embroider, so there was no possible way I could win! She explained, “There are two reasons to enter the fair. One is to win ribbons. 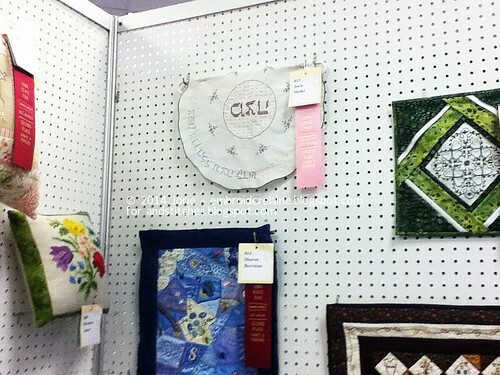 The other is to just see your work up there with the others, to know you accomplished that, and maybe get some helpful critiques.” Every year, the store’s patrons talked about “taking over the state fair”—to add some modern flair to needle craft categories that were often old-fashioned—but now it was time for someone to actually do it. In the month before the 2013 fair, I worked on a matzah cover that was in my great-aunt’s supplies. I definitely should have started earlier, but I got it completed in time to submit it to the fair in person. I ended up being the only new person from my crafting circle to submit an entry. I submitted it in the Embroidery Division, in the class of Embroidered Holiday Decorations, where it won a fourth place ribbon. I was disappointed at first because there were only four items submitted in that class, but I learned that the judges award ribbons based on a point system. They gave me a ribbon because I had achieved a standard of excellence. It almost made up for the fact that they hung my project upside-down! This year, I am changing my approach to preparing for the fair. My first entry, my version of the Polar Bear from Follow the White Bunny’s Furry Nice online class, was one I decided early on would be a fair entry. I allotted much more time to complete it. Last year, I was rushing to finish my matzah cover on time, and that lead to more mistakes I had to fix. It was such a relief to have the finished project at the framer’s with plenty of time to spare. I am submitting it in Division-Embroidery, Class-Picture. My other two items are ones that I did not make with the intention of submitting them, but so many people complimented me on them that I figured there was no harm in trying! One is a slipstitch afghan (Division-Hand Knitting, Class-Afghan). 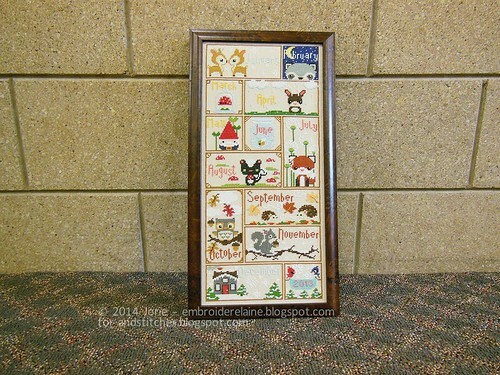 The other is the Woodland Sampler designed by the Frosted Pumpkin Stitchery (Division-Counted Cross Stitch, Class-Picture 15-25 inches worked on linen). As you can tell, the classifications for entries are extremely specific. It is very important to look through the rule book, or “premium book,” to figure out which categories your item might fit. The Iowa State Fair is fairly comprehensive when it comes to craft categories and item types, but it doesn’t cover everything. They might define terms differently from the way you do, or add and subtract categories. 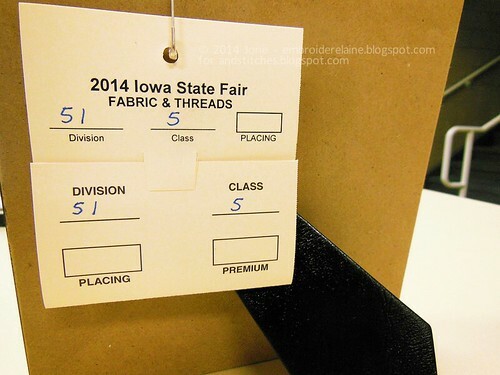 Every year, the fair organizers meet competitors who drive all the way to Des Moines to enter the competition without even looking at the book to figure out if their items qualify for competition. The book also contains information on deadlines, cleanliness, and how to attach the entry tags. If you categorize your entry incorrectly, or it violates any other rules, it will be disqualified. Another change is that I finally have friends who are submitting entries, too. I started a Facebook group, “State Fair Takeover,” to remind potential competitors of important deadlines and provide a forum for people to ask questions and encourage each other. 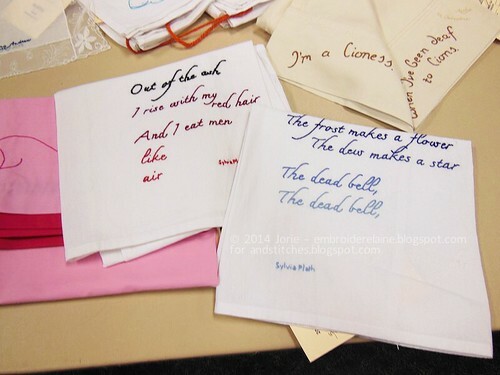 Thanks to the group, Angela is submitting towels embroidered with Sylvia Plath quotes (Division-Embroidery, Class-Towels) and pillowcases embroidered with messages advocating sexual consent (Division-Embroidery, Class-Pillowcases). 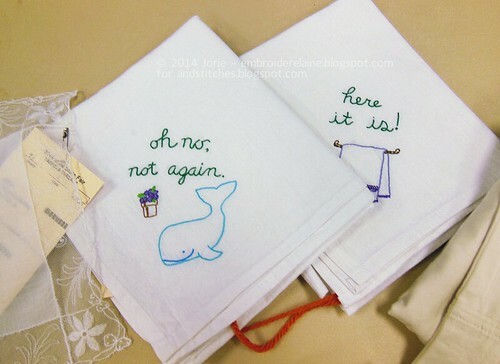 Cassie is submitting Hitchhiker’s Guide-themed towels, a wedding handkerchief she made for her cousin, and pillowcases embroidered with verses from an Egyptian poetess. Will more entries mean more ribbons? What will the judges think of our contemporary style? Will I finally eat some chocolate-dipped cheesecake on a stick? Find out in Part 2 . . .
Have you taken part in a fair with your stitchy projects? How did it go? Tell us all about it in the comments! Gorgeous stitching I love putting my stuff into the Shows here I really need to get some more work done so I can put them in the big ones. 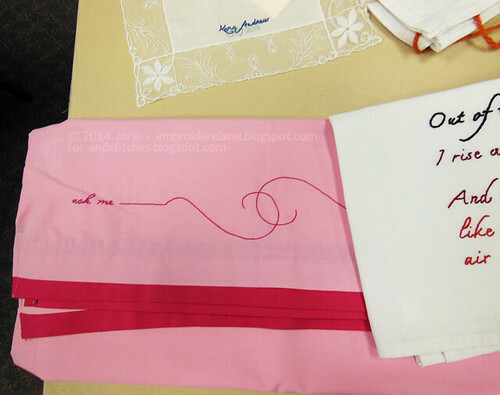 love your embroideries... :) i can't wait to see how things go in part 2. thanks for sharing your stitchy experience.